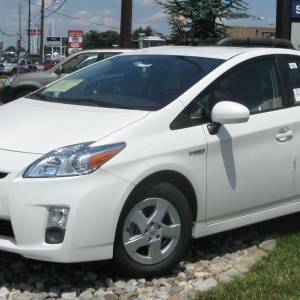 Hybrid cars are the cars that use a mixture of different types of fuels instead of a particular kind of fuel. The combination can be made of any type of fuel that we commonly use today, including petrol and diesel, or it can be any alternative energy form. There are many different types of cars hybrid today. The combination of electric power and petroleum are used in electric petroleum types of cars hybrid. Such cars have an internal combustion engine that will convert the petroleum energy into mechanical form and the dynamo will charge a battery in the car. This battery power is used in different ways depending on the requirement. Electric petroleum types of cars hybrid are the most common and popular type of hybrid cars. In a parallel hybrid system, the basic idea remains the same in which both internal combustion engine and battery power is used. Either both the systems can work together or can function independently in order to obtain the desired output. Parallel hybrid cars contain only one motor installed unlike split power systems. In almost all parallel hybrid cars the internal combustion engine, the gearbox and the electric motor are inter related and engaged through a clutch. The clutch is automatic and engages depending on the mode of work of the engines. When the car is in electric driven mode, the clutch is open for the internal combustion engine and remains engaged for the gearbox and both the motor and internal combustion engine runs at the same speed while in combustion mode. Mild parallel hybrid vehicles are the types of cars hybrid in which a compact electric motor is used. The motor used in such types of cars hybrid are usually less than 20kW in terms of power are intended to provide the auto stop or start features to the hybrid cars. Power split hybrid cars are the types of hybrid cars in which two motors are used to drive the car. An electrically powered motor and an internal combustion engine are both used for generate the required power to drive the car. Both the motors can be used in any ratio between 0 to 100 percentage depending on the requirement. Petro-air hybrid types of cars hybrid use an internal combustion engine in which a mixture of petroleum fuel and compressed air is burned. The air is provided through using a compressor to the combustion chamber and the mixture of the air and the fuel burns in the chamber and the out put power generated from such a method is double than that of the output generated by normal internal combustion engines. In petro-hydraulic types of cars hybrid, a hydraulic accumulator is used in which the energy is charged during the car’s operation in low energy requiring mode and this stored energy is added along with the energy generated by the internal combustion engine when there is a requirement for higher energy out put.